After a long day at work and an awful commute, popping some instant rice into the microwave seems like a real life-saver. Dinner will be on the table in a few minutes and you can finally put your feet up. As convenient as it seems, though, the flavor is a letdown. Even on busy nights, it’s worth it to cook rice from scratch. Whether it’s jasmine or basmati, brown or white, cooking the “long way” is pretty easy, even though it might take a little extra time. And nothing beats the real deal when it comes to flavor and texture—if you’re going to spend time cooking a roast chicken or a glorious spicy coconut curry, you can do better than serving it with the mushy, overcooked instant stuff. There are many varieties to choose from, so we give you the rundown on everything you need to know, including the different types of the grain, how to make a big batch (even sans rice cooker), and 12 recipes that taste great with it. Rice is actually a swamp grass. It grows in long furrows filled with a few inches of water and is then harvested, processed, milled, and cooked to become the food we know and love. It’s native to Asia, where more than 90 percent of the world’s supply is consumed and is a staple of Chinese, Japanese, Thai, and Indian cuisine. But because it’s shelf-stable, inexpensive, and easy to digest, rice is also incredibly popular worldwide and works in everything from Mexican pilaf to English porridge and Italian risotto. Two of the most popular kinds of the grain are brown and white rice, which have long been up for debate over which is better for you. They’re actually extremely similar. Both start the same way, as a “rough” grain. After being harvested, each goes through a milling process to remove the hard outer hull. Brown rice stops at this point, with the fiber-rich bran layer still intact. Then, another round of processing removes the bran to make white rice. Because only one layer separates the two types, there’s not much difference in nutrition. The most prominent distinction between the two types is in the glycemic index (GI). This measures how quickly a food raises blood glucose, or blood sugar. The higher a food’s GI, the more quickly it causes a sugar spike. Choosing foods low on the glycemic index is especially important for diabetics, though some people also use it as a weight loss method. Brown rice has a GI of 50, thanks to its added fiber. Average white rice comes in at 89. If you’re only eating a small serving, or aren’t concerned about blood sugar, this probably doesn’t matter too much—but diabetics and dieters should take note. Though brown rice is almost always touted as the healthier option, really it only has a slight edge on the white variety—and unless you’re eating copious amounts, choosing one or the other really won’t make a big difference in your diet. Brown rice does has a small advantage here, thanks to the added bran, which gives it small amounts of B vitamins and copper and about 25 percent of the daily recommended value of magnesium and selenium. 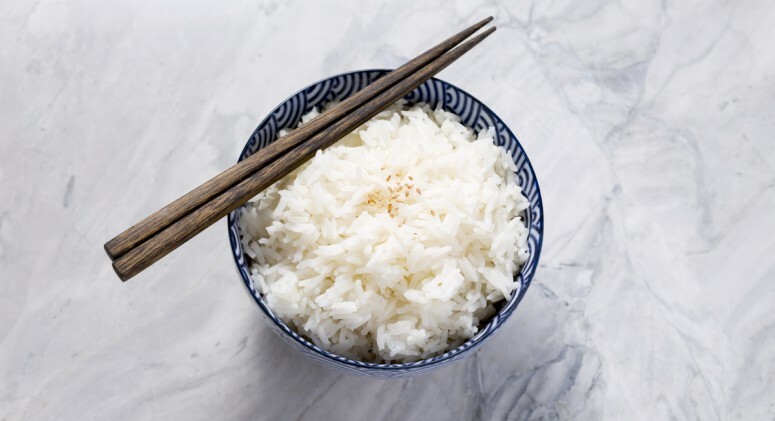 White rice still contains these micronutrients—just in smaller doses (only 0.1 micrograms of vitamin B12, 5 percent of the daily recommended value of magnesium, and 17 percent of the daily recommended value of selenium). Here’s where things really get interesting: White rice is Paleo, but brown is not. 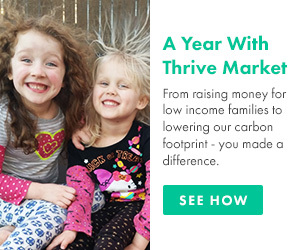 Though most Paleo eaters abstain from carb-heavy grains in general, this is a special case. It all comes down to antinutrients—compounds that prevent the body from absorbing nutrients—that are found lurking in the bran. Like many other seeds and grains, rice uses these compounds as a defense mechanism against animals that might want to eat it. The effects of eating antinutrients for humans can include indigestion, stomach pain, and lethargy. Since they’re only present in the bran, which is removed during the processing of white rice, it’s theoretically safe for someone on the Paleo diet. 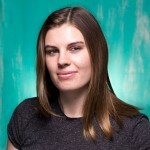 However, it’s still a starch, which Paleo dieters only eat in moderation. 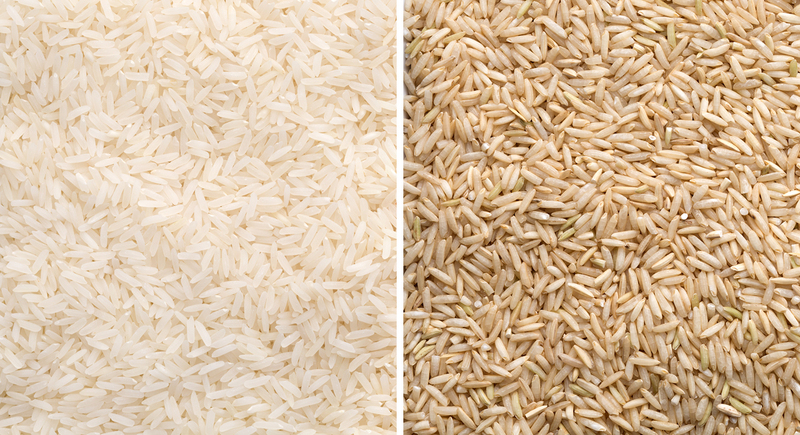 Beyond brown or white, rice comes in four major varieties: long grain, medium grain, short grain, or specialty. Here are a few of the defining characteristics of the most popular types. Basmati: Predominantly found in India and Pakistan, basmati has extra long grains and a subtle nutty flavor. Jasmine: A Thai variety, jasmine is slightly translucent and a bit lighter than basmati. Sushi: This is the naturally sticky, starchy rice typically used in rolls and served alongside other traditional Japanese dishes. Bomba: Typically used in Spanish-style paella, bomba absorbs an incredible amount of liquid—perfect for saucy entrees. Arborio: Plump, starchy grains make this variety ideal for creamy risotto. Wild rice: Fun fact—this isn’t really rice at all, but a seed native to North America. It’s often added to pilafs and other dishes for its chewy texture and earthy flavor. Black rice: Also called “forbidden rice,” this variety turns a deep violet color when cooked. Kalijira, or baby basmati: A medium grain rice native to India, Kalijira was nicknamed “baby basmati” because of its resemblance to the original. Sprouted: Soaking the grains before processing allows them to germinate, changing the nutritional profile and making them easier to digest. Instant: This “minute rice” has already been cooked, then dehydrated, to speed up the preparation process at home. You can even make it in the microwave. Most varieties of rice can be cooked in either a rice cooker or a large pot. Just follow these simple instructions for a big batch! The simplest way to cook rice is in a rice cooker. It’s easy enough to master: Combine equal parts rice and water in the cooker, turn it on, and let it work its magic. Follow the manufacturer’s instructions for cooking time. If the rice turns out too dry, add more water next time. Increase the amount of liquid by no more than ¼ cup at a time. If the rice turns out too mushy, decrease the amount of water by ¼ cup the next time you use it. You don’t need a rice cooker, though. Just a medium to large pot and some water will do the trick. Running a little water over the dry grains before cooking removes some of the starch, which keeps the rice firm and prevents it from becoming sticky. If you’re using basmati, jasmine, or other long-grain varieties, you might want to rinse to keep it from becoming a mushy mess. However, if you’re making sushi rice or risotto, you don’t need to worry about rinsing—stickiness is what you’re going for! The same goes for brown. Since it’s sturdier, running it under water won’t affect the grains one way or the other. Here’s the step where most of us falter. Getting just enough water is crucial to cooking any variety of rice. Too much, and it becomes mushy and soupy. Too little, and it remains dry, uncooked, and crunchy—plus, you run the risk of burning it on the bottom of the pan. Generally, a ratio of about 1 ¼ cup water to 1 cup grain is a good rule of thumb, but it’s best to check the package for the manufacturer’s recommendation. Some varieties—like brown and wild—may require more water. The more water, the softer the grains become. It’s tempting, but do not under any circumstances stir the rice while it cooks. This activates the starch and turns it mushy and gooey. Close to the end of the specified cook time, lift the lid and check it. You’ll know it's ready to remove from the heat once small tunnels of air appear. Note that there should still be a little bit of water in the pot. Take the pot off the stove, and let it sit, covered, for at least five minutes. Here’s where the last little bits of water get absorbed. If you’re still cooking the rest of your meal, you can let it sit even longer. This step allows the grains to soak up any remaining moisture and firm up before serving. Lastly, and perhaps most importantly, use a fork to fluff the pot of rice. Serve immediately, or allow it to cool fully before refrigerating. Fry leftover rice with kimchi and green onions to add some sour and spicy flavor. Top each bowl with a poached egg to make a balanced meal perfect for breakfast, lunch, or dinner. Sometimes, lettuce just won’t cut it. Instead, toss brown rice with edamame, carrots, cucumbers, and salmon for a hearty lunch that will put any chopped salad to shame. Any meal you can make in a single pot is a winner. Here, aromatic ginger, garlic, and green chile add complex flavor to the dish. Adding chicken to the mix essentially steams it, keeping the meat incredibly tender and juicy. 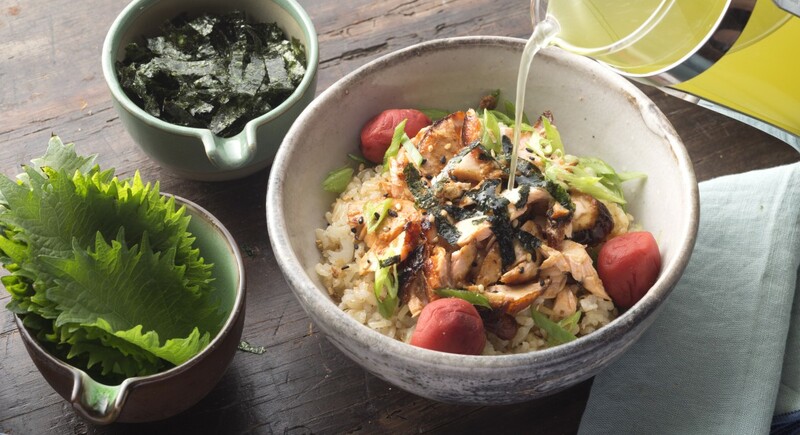 Ochazuke—a favorite late-night meal in Japan—consists of salmon, seaweed, and wasabi atop rice, with hot matcha green tea poured over the whole thing. It sounds odd, but the earthy flavor of the tea balances the richness of the salmon beautifully. Plus, the presentation is just stunning! Take the classic Italian dish up a notch by cooking it with zucchini and spirulina (a nutritious powdered algae), which dyes it a gorgeous green. Finish with crowd-pleasing artichoke hearts and a few mint leaves, in keeping with the color scheme. Once you try this recipe, you’ll never want plain old pudding again. The extra fiber gives it a wonderful texture, and honey lends a delicate sweetness. Lay slices of pineapple caramelized in orange juice across the top for an even more decadent dessert—that is, if you can keep yourself from eating them right out of the pan. Adding rice to this bowl of halibut and mushrooms will soak up any excess liquid from the broth. Make vegetarian curry a little heartier by adding brown rice to the plate. The richness of the coconut milk, heat of the curry paste, and brightness of the seasonal veggies go perfectly with the earthy grain. Spinach is great, but sometimes it just doesn’t quite hit the spot. Instead, try serving it with a spicy sauce and bed of rice to give the dish a little more substance. There’s a reason why Chinese and Thai restaurants always recommend ordering a side of white rice: it’s a perfect match for saucy, spicy stir-fry dishes. This meaty beef and broccolini recipe is no exception. 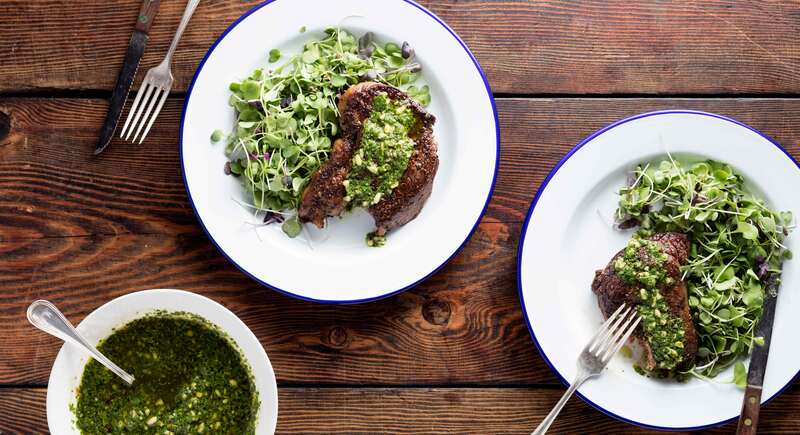 Full of fresh parsley and pungent garlic, a pine nut chimichurri sauce is a natural topping for grilled steak. Serve it with a salad of microgreens and scoop of rice to soak up any excess since you’ll want to get every last drop. These mustard-basted chicken thighs make an unbelievably quick weeknight dinner. From start to finish, they take just 30 minutes to marinate and bake! Turn it into a complete meal by adding rice and some steamed seasonal vegetables.